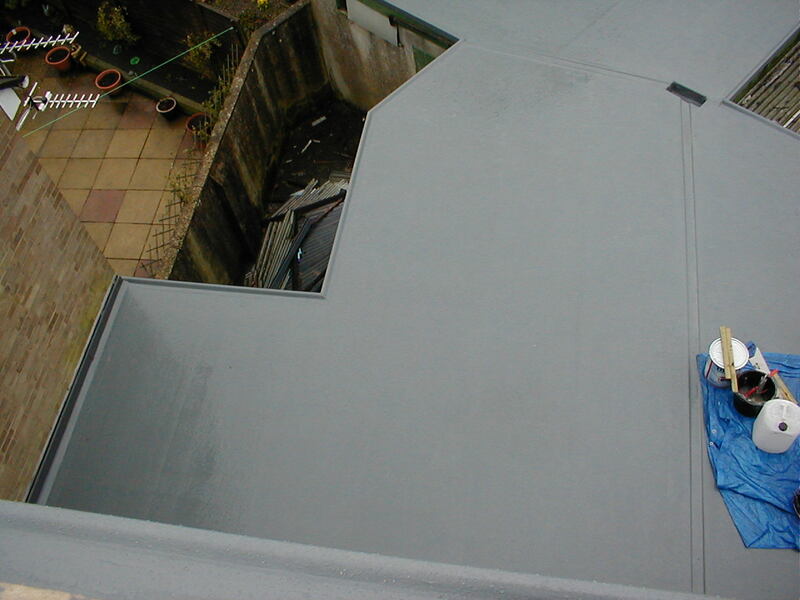 Cherry red gel coated flat roof. With GRP upstands. Insulated warmroof.....with GRP covering finished in cool grey gel coat. Flint grey topseal grp roof. GRP dormer with new roofline finished in flint grey. 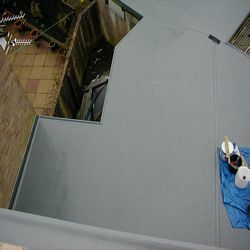 GRP roof in flint grey gel coat. GRP going under 2 courses of tiles.